We are happy to introduce manuls to our ViArt Family products. Any member of ViArt Family is an e-commerce solution ideal for those who require an online store or just a website, which is easy to set up. The aim of ViArt is to create a homogeneous system, which provides all the tools you require to create and maintain a successful on-line business. ViArt is written in PHP and supports MySQL, PostgreSQL and ODBC databases, but it doesn't mean that you have to be a pro in programming, basic knowledge is enough. As soon as you have installed any of ViArt products, it's fully functioning and ready to go. Additionally, there are many features and settings in ViArt that allow you to change the look and feel of your website to suit your needs. These manuals are intended to help you create the online shopping cart system or web-portal youâ€™ve been dreaming about! When composing the document, we tried to cover all the aspects of the setup process, in the order you may need them. So, we suggest that you start reading from the very beginning and by the time you finish, your site will be up and ready! However, ViArt products are intuitive; therefore you can use the manual just as a guide if something is incomprehensible to you. Please keep in mind that should any questions arrive at any stage, our support team is always ready to help you. 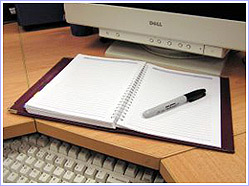 We sincerely hope you find these manuals useful, and that you enjoy using any of our products.